Digital learning is gaining ground but without broadband access in schools its vast potential is left untapped. There are still too many schools throughout the EU that aren’t connected to the Internet, especially primary schools, 25% of which were still deprived of broadband in 2016. Schools in rural areas not covered by fixed or mobile broadband are especially disadvantaged. These schools and local authorities often lack knowledge on their options for broadband, there is a limited number of dedicated, large national institutional support programmes and there is lack of understanding of funding options, including voucher schemes. The European Commission has addressed this knowledge deficit head-on in a feasibility study on satellite broadband in schools within the framework of the BROSS (BROadband Satellite for Schools) project. The new study, carried out by RISE Acreo, Airbus, 2thePoint Consulting and Eutelsat, mapped out current and forecast gaps of broadband availability for European schools. It concludes that satellite broadband can be an easy option for poorly connected schools if Awareness, Coordination and Price are properly addressed. Cases in France, the US, Mexico, Italy, the UK, Ireland, Spain and Turkey are studied in the report. They include analysis of the “École Connectées” programme in France deployed as part of the “France Très Haut Debit” plan, and the “ONE CLASS! Open Network for Education” project, currently underway in Italy under the supervision of the European Space Agency (ESA). 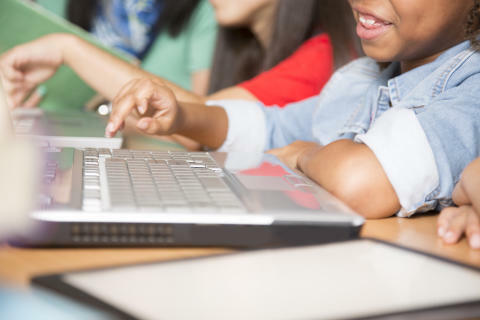 In order to present a full overview of what schools need to do to overcome the hurdle of getting online, the study identifies support mechanisms that go beyond pure broadband access, including support, training and customised solutions. It also shows how satellites can combine point-to-point broadband connectivity with multi-casting of content for locally-stored digital libraries of videos, interactive video-based content, e-books, digital test books, exercise software, simulation or learning games, interactive maps, software, and a host of other educational tools. Voucher schemes are an efficient financing tool to stimulate demand for priority services. A basic voucher scheme can cover the fixed cost of satellite terminal equipment and installation as well as monthly recurring costs for a limited period (e.g. 24 months), representing a simpler and quicker process than traditional purchasing that calls for an upfront investment.